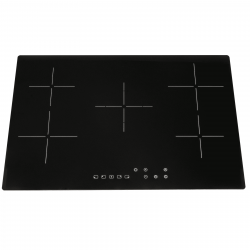 At Ship It Appliances, we are proud to stock high-end CDA ceramic hobs and our own branded affordable, high quality SIA models. Most of the models feature shatterproof safety glass and are highly energy efficient. Take advantage of our free next day delivery (available to 99% of the UK) and upgrade your kitchen today! Precise temperature control: Don’t play guessing games - set the exact temperature you want for each zone. 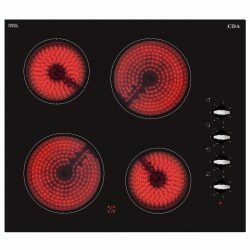 Rapid heat-up: Some ceramic hobs can reach the desired temperature in seconds. 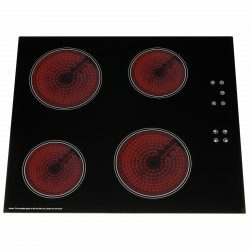 Improved safety: There’s no need to worry about an unlit hob pumping gas into the kitchen or a hob over-heating if it’s left on. 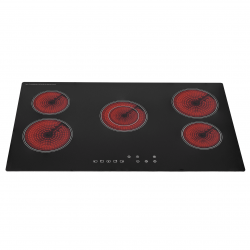 Ceramic hobs boast an automatic shut-off feature to keep you and your family safe. 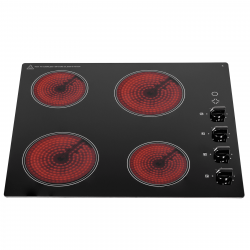 Durability: The protective glass surfaces on these hobs are highly resistant to scratches and scrapes, ensuring your hob stays looking new for longer. 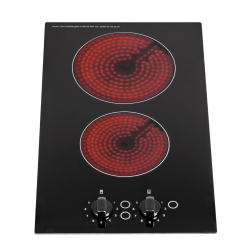 Easy to clean: Because these hobs are completely flat they couldn’t be easier to wipe clean. There are no removable parts and no ridges to collect dirt, debris and food particles.